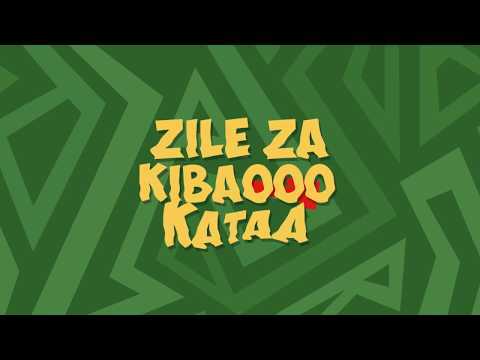 Following up on the success of “Fella” released in June, talented Tanzanian music duo, Navy Kenzo come through with another offering titled “Katika” and score the collaboration of the respected label boss, Diamond Platnumz who last month dropped “Jibebe” alongside Lava Lava and Mbosso. “Katika” came with a topnotch music video shot by the respected Justin Campos and has the artistes involved take turn singing while they ‘chase’ a beautiful girl with a big backside that’s playfully dodging among some sheets spread outside. The duo, Navy Kenzo which is made up of award-winning record producer and rapper , Nahreel whose real name is Emmanuel Mkono and his partner, Aiko continues to stay at the top of the Tanzanian music scene, as the power duo keeps dishing out incredible music to all their fans around the continent and beyond. Together with his partner Aiko, whom he formed Navy Kenzo with back in 2013, they have gone on to make some of the best records in Tanzania and East Africa such as “I Just Wanna Luv You”, “Chelewa”, “Bless Up”, “Morning” and “Kamatia”. On this new offering, the artistes involved come through with their A games and the result is a top song that has gotten fans excited and which we expect to be around for long. To listen and watch, stream or download here and be sure to drop your comments in the comments section.